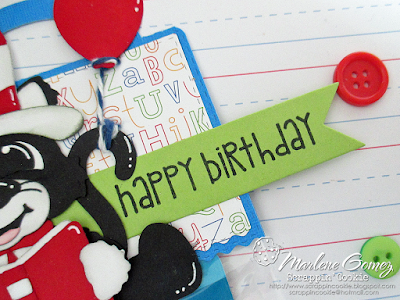 Marlene here from ScrappinCookie. I'm so excited to be March's Jaded Blossom Guest Designer! Thank You to Michelle and Candace for selecting me to be part of this month's release. I have so many fun ideas in store for you all! Today is Read Across America Day, also known as Dr. Seuss' Birthday. So for my first project, I decided to do a Dr. Seuss Birthday goodie bag. I found some Dr. Seuss themed goodies - pencil, bookmark, highlighters - that fit perfectly into the 3x8 Clear Bag available at Jaded Blossom. I pulled out my Jaded Blossom Ric Rac Topper and went to work. I stamped the "Happy Birthday" from the Jaded Blossom Co-Workers Stamp Set on a Jaded Blossom Flag Die and tucked in under my "Hat in the Cat". 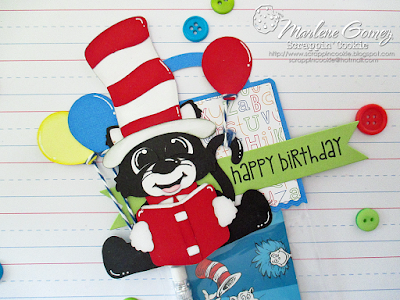 I hope you have liked my little Dr. Seuss Birthday goodie bag using Jaded Blossom products. 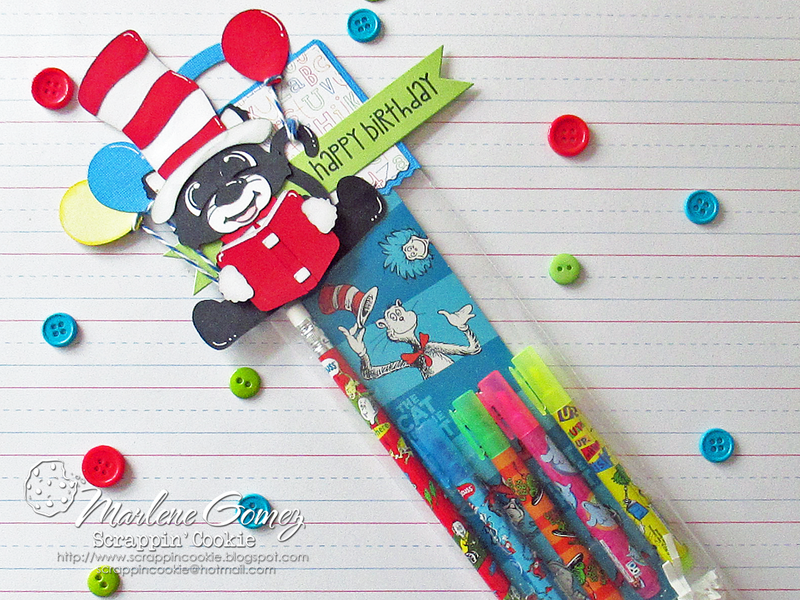 For more information on my Dr. Seuss Birthday Goodie Bag, please visit my blog SrappinCookie - HERE. Love this! Perfect for today! Just too cute!!! Love it!